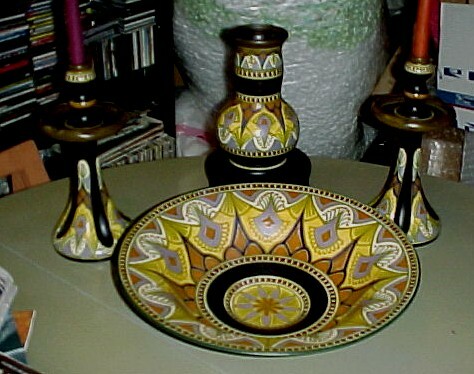 A Pair of Gouda Candle holders in the Curra pattern. Painted by the same artist; and produced in 1926. 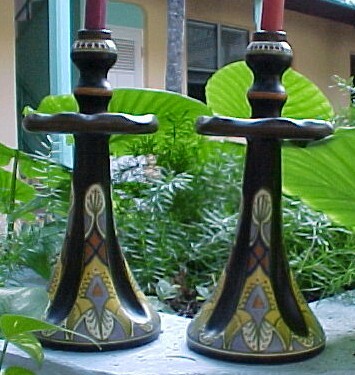 The Candle holders are 12.25" high and 5.5" wide. 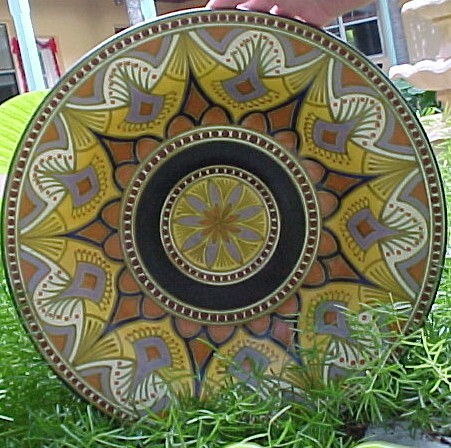 The Large Gouda Bowl was produced by the PZH company in 1927 and is painted in the Curra pattern. The bowl measures 16" wide and 4" high. The piece has been repaired. 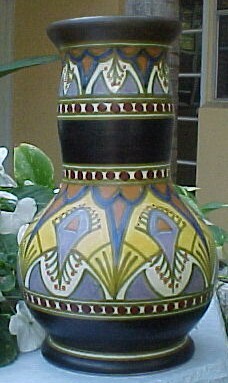 The Gouda Vase was produced in 1926 by the PZH company. The piece measures 9.75" x 5.5"